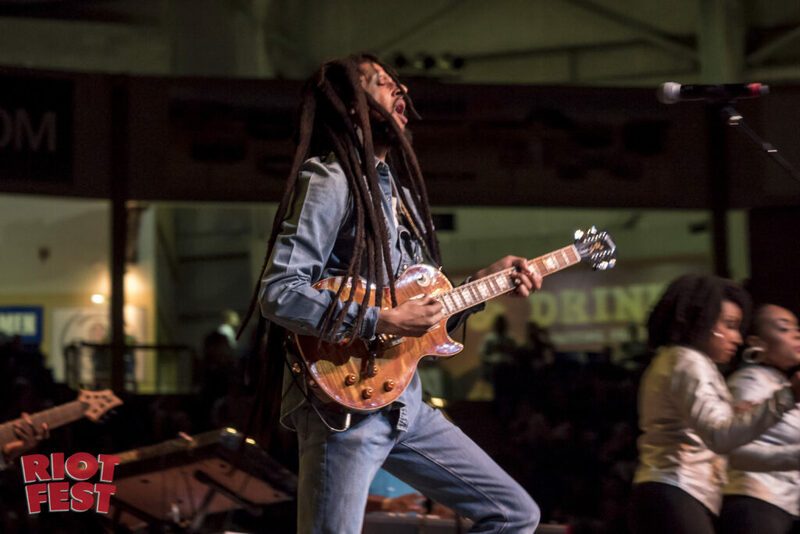 Following a stellar set at Riot Fest & Rodeo in Denver earlier this month, Grammy-nominated reggae musician Julian Marley and his band will perform Bob Marley and the Wailers’ landmark 1977 album, Exodus, in its entirety in Chicago on Friday, September 16. 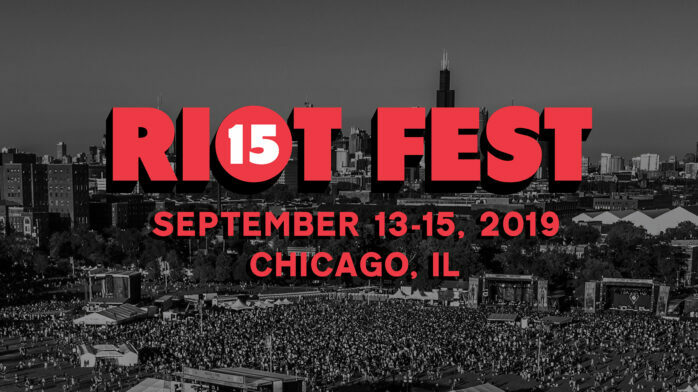 We are honored to count these two performances of one of the most celebrated records of all time as one of our album sets at the festival this year. Written after the original three members of The Wailers—Marley, Peter Tosh, and Bunny Wailer—went their separate ways in 1974, Exodus features a new lineup of musicians: Carlton Barrett on drums, his brother Aston “Family Man” Barrett on bass, guitarists Al Anderson and Junior Marvin, keyboardists Tyrone Downie and Earl Lindo, and percussionist Alvin “Seeco” Patterson. The trio of singers, Rita Marley, Judy Mowatt, and Marcia Griffiths, a.k.a. 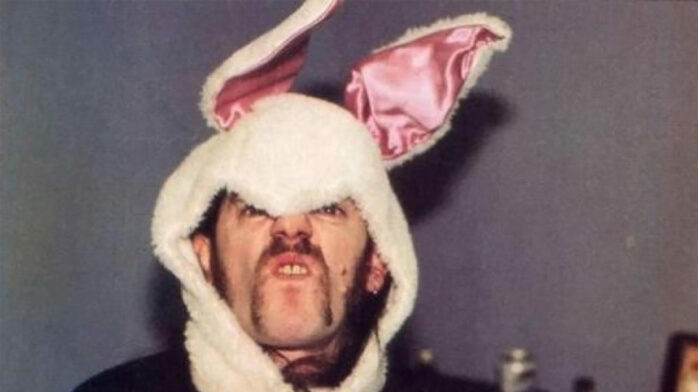 the “I Threes” provided the backing vocals. Safe in London, Bob Marley and the Wailers set to work recording Exodus at Island Studios, with sessions extending from January-April, 1977. Musically speaking, Exodus was a departure from Marley’s previous albums, stepping away from traditional reggae to a fusion that included elements more common to blues, R&B, and rock music. 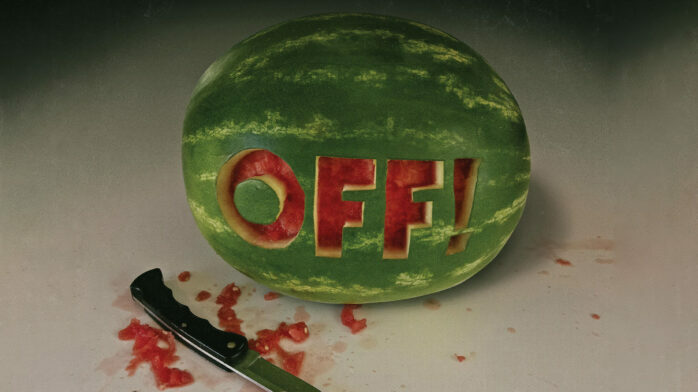 Despite Marcus’ mixed enthusiasm–and seeming to answer his questions about its crossover potential (though hardly the motivations for writing it! ), the album was well-received upon its release, reaching #20 on Billboard’s Top 200 and #8 on the British charts. Aside from the the Legend anthology, released in 1984, Exodus is the highest-selling album of Bob Marley’s catalog. The original pressing of Legend includes five album tracks from Exodus, making it the most highly represented album of the collection. In their December, 31, 1999 issue, TIME magazine named Exodus the “Album of the Century.” Around the same time, Exodus’ final track, “One Love,” with its call for unity and peace, was honored as the “Song of the Millennium” by the BBC. 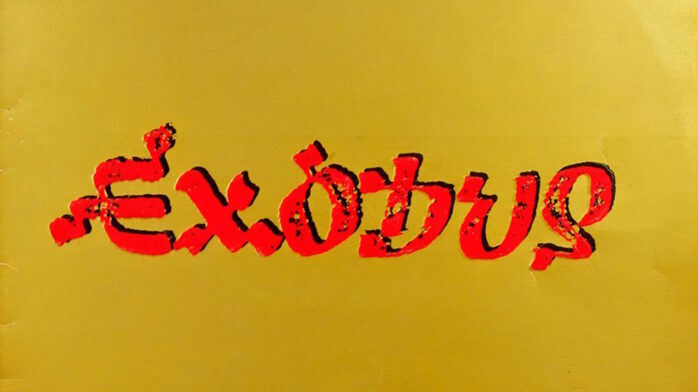 Rankings and critical accolades aside, the reason Exodus remains so beloved across the globe nearly four decades after it was first released is its ability to impact its listeners on a personal level, whether through its themes of love, peace, compassion, and redemption, or simply for the beat.